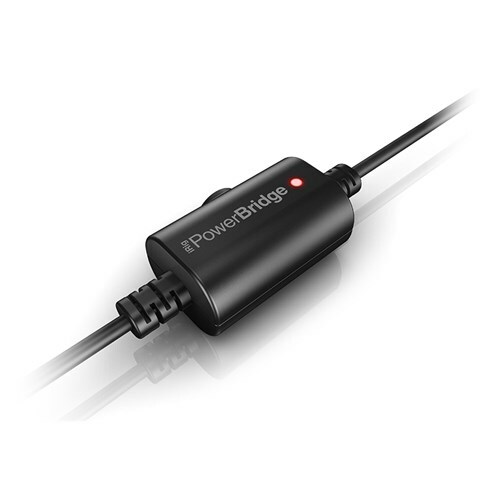 Introducing iRig PowerBridge, a continuous charging system for iPhone, iPad and iPod touch and digital iRig accessories. 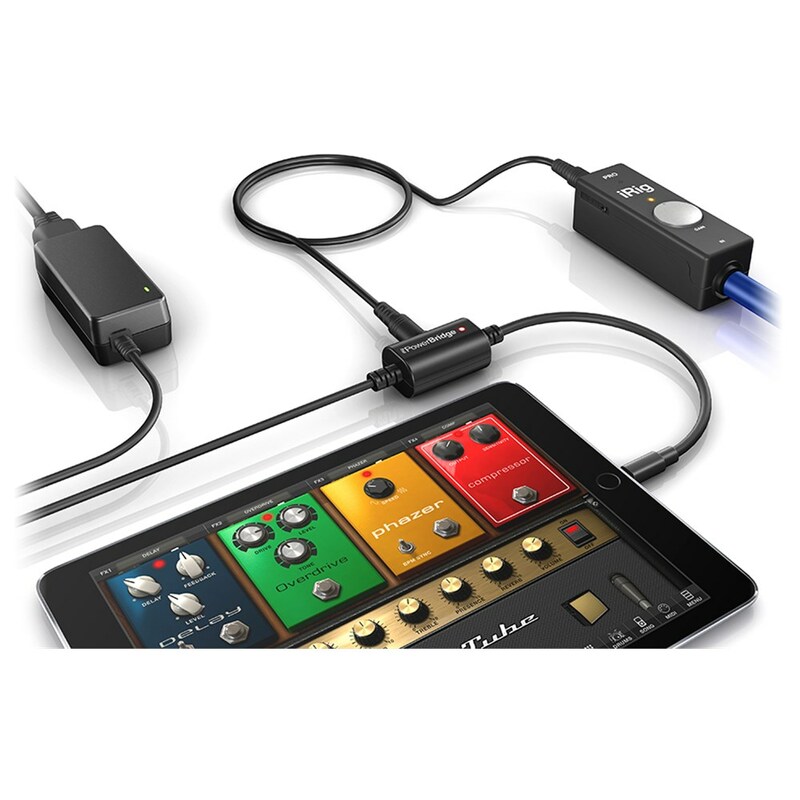 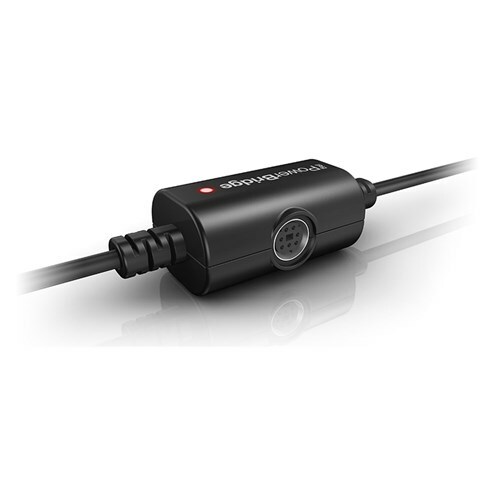 Featuring an ultra-low noise audiophile grade power conditioner, comprehensive connection options and other advanced features, it’s the easiest way to plug-in and keep your iOS device charged while practicing or performing with your favourite 30-pin or Lightning compatible digital IK gear. Through this streamlined setup, now you can keep your iPhone, iPad or iPod touch charged and play with your favourite digital iRig accessories and powerful IK apps for as long as you want, no matter whether you’re performing on stage, recording in the studio or just jamming at home. 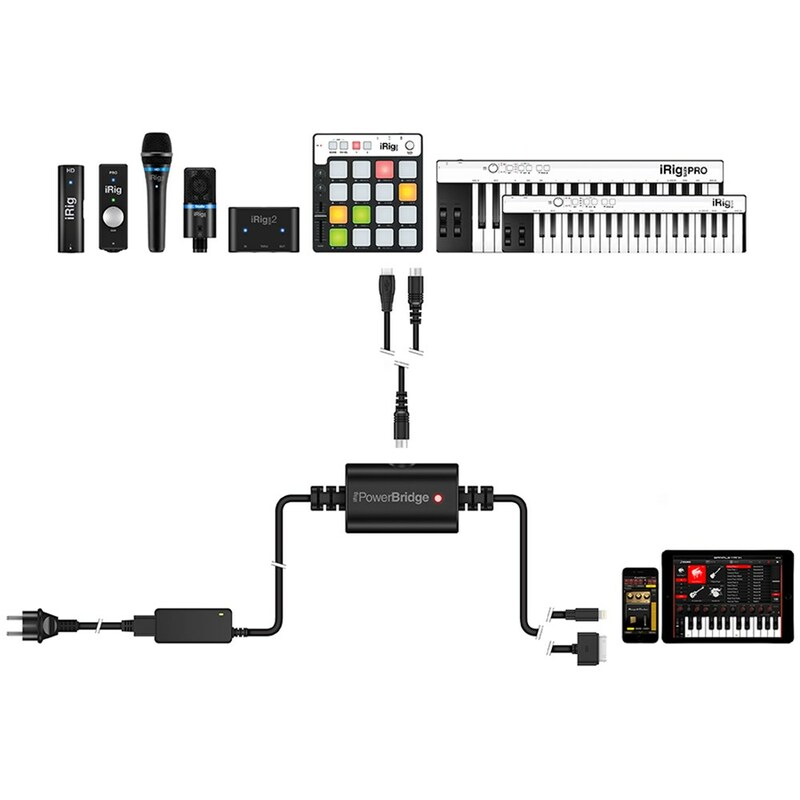 It’s the perfect complement to powerful hardware accessories like IK’s iRig Mic Studio, iRig Mic HD, iRig Keys, iRig Pro, iRig HD, iRig Pads and iRig MIDI 2.